To test this yourself, plug your numbers in at the Mayo Clinic. This is a very quick way to assess weight status, and can be helpful in certain circumstances such as reflecting disease risk. 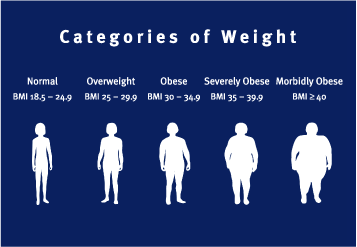 However, BMI does not always provide a true picture of health, since it does not reflect body fat. Therefore, very muscular people may be classified as overweight. Waist to hip ratio can also be used as a marker, but the National Heart, Lung, and Blood Institute recommends circumference alone because the ratio requires extra steps and does not provide any additional information. If you have access to it, another great way to assess body composition is using a more technologically involved approach such as bioelectrical impedance. Today I got to see the bioelectrical impedance machine at work with some athletes here at WVU, since I am working with the Registered Dietitian on campus. This model requires that you stand on a scale with electrodes, and place your hands on electrode receptors. A low-intensity electrical current is sent through your body. Because electrolyte- containing fluids are found primarily in lean body tissues, the leaner the person, the less resistance there is to the current. The measurement of electrical resistance is then used as part of a mathematical equation to estimate the percentage of body fat. 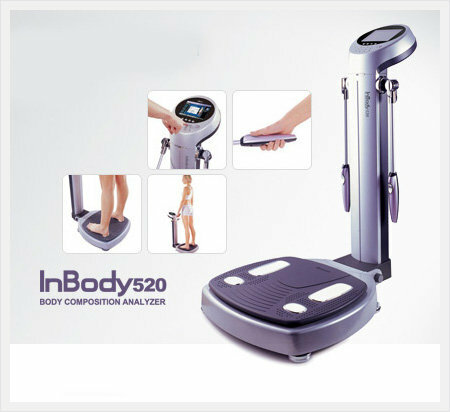 You can purchase bioelectrical impedance machines for home use, but they are typically just a scale, or just handheld. Since the electric pulse is coming from just one side, you will get a more accurate reading of just the bottom half (scale) or top half (handheld) part of your body. So, these aren’t the most accurate devices. The assessment is completed after fasting (preferably first thing in the morning before breakfast) and prior to drinking any liquid. You simply stand on the scale quietly and the machine does its work. Then you get a great printout that indicates amount of lean body mass, body fat (or adipose) mass, body water balance, and percent body fat. One really neat thing is that you can even see a segmental lean analysis- where each arm, leg, and trunk are assessed for lean mass. Although not feasible and accessible for everyone, body composition by bioelectrical impedance is a great way to assess your lean body mass! Source: Whitney E and Rolfes SR. Understanding Nutrition. 11th Ed.Thomson and Wadsworth. 2008. Categories: Sports Nutrition | Tags: adipose tissue, bioelectrical impedance, BMI, heart disease, InBody 520, lean body mass, overweight, stroke, waist circumference, waist to height ratio | Permalink.